Fish are aquatic vertebrates that are typically cold blooded, covered with scales, and equipped with two sets of paired fins and several unpaired fins. "'Some people like the oddest things.'" Zaphod and Trillian in Douglas Adams' novel The Hitchhiker's Guide to the Galaxy. Translation: You're teaching a fish to swim. You sir, are a fish. Arthur Morgan, first time seeing a fish. Guess who's gon' be on the plate? I know the human being and the fish can coexist peacefully. George W. Bush, speech in Saginaw, Michigan (29 September 2000), referring to a widely reported dispute in the Klamath region of Oregon between farmers with irrigation rights and Native Americans with fishing rights. Give a man a fish and he'll eat for a day. Give a man a sub-prime fish loan and you're in business, buddy. It was always the biggest fish I caught that got away. Eugene Field, Our Biggest Fish, st. 2. Her father was a fisherman, with a beard that tasted of salt, and fingers that smelled like the sea. Arthur M. Jolly A Gulag Mouse, Act II, sc. i. Fish and guests in three days are stale. But the sensible fish swims down. Ogden Nash, When You Say That, Smile. I am, out of the ladies' company, like a fish out of water. Thomas Shadwell, A True Widow (1679), Act III, sc. i. For this fool-gudgeon, this opinion. William Shakespeare, The Merchant of Venice (c. 1596-98), Act I, scene 1. William Shakespeare, Hamlet (c. 1600-02), Act IV, scene 3. Bait the hook well: this fish will bite. William Shakespeare, Much Ado About Nothing (1598-99), Act II, scene 3. What have we here? a man or a fish? dead or alive? 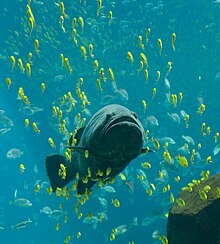 A fish: he smells like a fish; a very ancient and fish-like smell. William Shakespeare, The Tempest (c. 1610-1612), Act II, scene 2. They say fish should swim thrice * * * first it should swim in the sea (do you mind me?) then it should swim in butter, and at last, sirrah, it should swim in good claret. Jonathan Swift, Polite Conversation (c. 1738), Dialogue II. Quotes reported in Hoyt's New Cyclopedia Of Practical Quotations (1922), p. 273-74. Wha'll buy my caller herrin'? Buy my caller herrin', Ye little ken their worth. Ca' them lives o' men. Caller Herrin'. Old Scotch Song, credited to Lady Nairn. Claimed for Neil Gow, who probably only wrote the music. "There's a porpoise close behind us, and he's treading on my tail! They are waiting on the shingle—will you come and join the dance?" Lewis Carroll, song in Alice in Wonderland. Far off itself doth cast, so does the salmon vaut. Above the streamful top of the surrounded heap. Michael Drayton, Poly-Olbion, Sixth Song, line 45. What is 't ye do? what life lead? eh, dull goggles? How do ye vary your vile days and nights? And drinks, and stares, diversified with boggles. Leigh Hunt, Sonnets, The Fish, the Man, and the Spirit. Richard Lovelace, To Althea from Prison, Stanza 2. Although my middle's left, there's nothing there! Parent of sweetest sounds, yet mute forever. Thomas Babington Macaulay, 1st Baron Macaulay, Enigma, On the Codfish. And wag your tails about. And pikes, the tyrants of the wat'ry plains. Alexander Pope, Windsor Forest, line 141. But gudgeons, flounders, what my Thames affords. Alexander Pope, Second Book of Horace, Satire II, line 141. We have here other fish to fry. François Rabelais, Works, Book V, Chapter 12. It's no fish ye're buying—it's men's lives. Walter Scott, The Antiquary, Chapter XI. Master, I marvel how the fishes live in the sea. Why, as men do a-land: the great ones eat up the little ones. William Shakespeare, Pericles, Prince of Tyre (c. 1607-08), Act II, scene 1, line 29. Blue, darkly, deeply, beautifully blue. Robert Southey, Madoc in Wales, Part V. (Referring to dolphins.) Byron erroneously quotes this as referring to the sky. All's fish they get that cometh to net. Thomas Tusser, Five Hundred Points of Good Husbandry, February Abstract. Gascoigne, Steele Glas. And cut with finny oars the sparkling tide. Valdarne, in Thomas Forster's Perennial Calendar. This page was last edited on 17 January 2019, at 05:32.